Looking for a Drug Rehab or Alcohol Rehabilitation Facility in Maryland? Drug rehab in Maryland is available in very discreet settings and there are programs ranging from moderate to intensive depending on the needs of each client. 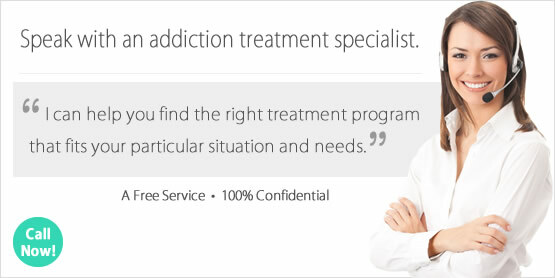 So before choosing a drug rehab program in Maryland, find out what the options are so that you can choose one which best suits your level of addiction and circumstances or perhaps the unique needs of a loved one who needs help. Most of the quality programs in Maryland are accessible through private health insurance, making treatment available to individuals who may not think they can afford it. Speaking with a drug treatment counselor in Maryland can help get some of these questions answered, and you can be pointed in the right direction and given all of the options available to you. In a single-day count in 2013, 42,128 individuals in Maryland were enrolled in some type of substance use treatment, which was a decrease from 42,867 individuals in 2009. Among treatment clients in Maryland that year, 45.0% were in treatment for drug use only, 11.5% were in treatment for alcohol use only, and 43.5% were in treatment for both drug and alcohol use. Opiate dependence is the number one drug problem in Maryland, which is evident in the number of treatment admissions in treatment for this problem in the state. Between heroin and "other opiates" (prescription pain killers), nearly 45% of treatment admissions in Maryland have an opiate dependence problem, which far surpasses any other drug problem statistically. The 21 to 35 year-old age group is most affected by this problem, with males being slightly ore impacted by the heroin problem but only by about 20%. Secondary drug problems in the state are alcohol and marijuana abuse. The second most pronounced substance abuse problem is alcohol abuse, alcohol addiction and alcoholism. Poly-drug use associated with alcohol is also am extremely serious problem which affects residents' quality of life in the state. In Maryland, about 279,000 individuals aged 12 or older are dependent on or have abused alcohol within the past year. However only a small fraction, about 8%, received treatment for this problem. This is the case nationwide, where awareness must be raised about a problem which has become socially acceptable but requires aggressive intervention to avoid extremely detrimental long term outcomes. Alcohol treatment is available in Maryland, and more than just the traditional 12-step model programs and AA. Detox services are important because of the dangers associated with alcohol withdrawal, and both inpatient and residential treatment can help individuals receive the comprehensive alcohol treatment they need so that alcohol never negatively impacts their lives in the future. There are around 360 drug rehab programs in the state of Maryland and about 86% of these programs are outpatient. The vast majority of outpatient services are regular/intensive outpatient which is a very minimal level of treatment and may not be aggressive enough for individuals who have been highly affected by their addiction and will need a more intensive treatment program to participate in. Outpatient treatment programs which provide a more intensive level of treatment and more integrated services include 19 day-treatment/partial hospitalization facilities. Surely in an effort to provide treatment solutions to the large percentage of opiate addicted clients, there are 103 opiate maintenance facilities in the state which provide either methadone or buprenorphine to nearly 20,000 opiate maintenance clients. In these facilities, instead of traditional treatment, clients are administered a daily legal dose of prescription opiates to curb cravings and withdrawal. Because this is a continuous daily process that has to be maintained, opiate addicted clients should consider drug free alternatives which won't continue to affect their quality of life. Because opiate dependence is one of the toughest to overcome inpatient and residential facilities in Maryland, of which there are 90, is a treatment solution that can help individuals learn to cope without drugs and develop healthier ways to live so that they don't fall back into old habits. Even under the best circumstances overcoming an opiate addiction can be very challenging, so the longer someone stays in rehab the better their chances of experiencing a full recovery. What does Inpatient Rehab in Maryland Involve? Inpatient and residential non-hospital treatment are both available in Maryland, in facilities which offer either short term or long term treatment. The types of services available can vary, although traditional treatment can include group substance abuse therapy and counseling, cognitive behavioral therapy, holistic treatment, and steps to address a dual-diagnosis if it is determined that the individual needs to address a co-occurring mental health disorder. Ancillary services can include social skills development, mentoring and peer support and child care for clients' children. Long-term treatment in Maryland has shown the highest success rates, and 30-day treatment very often not extensive enough for someone who has struggled with a chronic long term drug problem. What does Outpatient Rehab in Maryland Involve? Nearly half of clients in outpatient treatment in Maryland are opiate maintenance clients who are only receiving daily doses of opiate maintenance drugs, and no further treatment. Realistically, someone who begins such treatment will be on it for the rest of their lives. If this is not the intended outcome you want to experience, there are many outpatient programs who approach treatment for opiate dependence much more holistically and effectively so the client can be truly drug free. However, inpatient and residential facilities in Maryland have a much better track record of doing so, and if accessible should be the very first option for someone who needs help for opiate dependence. Most outpatient clients not partaking in opiate maintenance services will receive group and individual counseling, although some programs also provide family, and marital/couples counseling as well. In some instances, outpatient treatment facilities in Maryland provide a comprehensive mental health assessment or diagnosis and mental health services in addition to the addiction treatment their offer.